ITT closed its doors last month, leaving thousands of students in a very difficult situation. Credits obtained at ITT typically will not transfer to other institutions, meaning students may be unable to finish their educations. Many of these former students have tens of thousands of dollars in both private and federal student loans. More than 100 have gone on a student loan strike to protest their loans. According to the former students, they plan to stop making payments on their federal and private student loans to bring attention to the practices of for-profit colleges. The group claims the Department of Education failed to prevent ITT Tech from defrauding students. Former ITT Tech students have discussed their plight with the press. In an article published by Bloomberg, a former Navy Reservist shared how he accumulated $120,000 in loans while attending ITT Tech. He claims recruiters at ITT Tech lured him in with promises of a 95 percent job placement rate and a ‘guaranteed’ six-figure income. After graduating, job recruiters told him to strip ITT Tech from his resume. Even people who have not completed their educations are having problems. An article published by The Washington Post tells the story of a man who desperately tried to transfer his credits from ITT Tech to a community college, but failed at every turn. These stories show that former students of ITT Tech will have a much more difficult time starting careers, transferring to other institutions and paying off their debts. The Department of Education has tried to help ITT Tech borrowers with federal loans discover if they are eligible for discharges. At the moment, the Department of Education has set up online resources for students to check their eligibility for a closed school discharge or borrower defense claim. Some of these students are going to be eligible to receive discharges, and the Department of Education has set aside $500 million for this eventuality. However, some will not be eligible. If students cannot qualify for borrower defense or the closed school discharge, what options are available? These students should also look into filing for bankruptcy. Although it is traditionally more difficult to file for bankruptcy on student loans, it is not impossible. We have discussed how the totality of circumstances test is more lenient that the Brunner test when filing for bankruptcy with student loans. 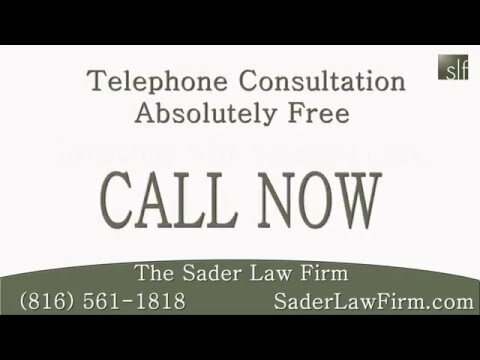 The Kansas City bankruptcy attorneys at The Sader Law Firm can help struggling borrowers find solutions for managing student loan debt. ← Are Bankruptcies Increasing Nationwide?